Below you fill find all funeral homes and cemeteries in or near Myerstown. Suburbs of Myerstown: Frystown, Greble, Millardsville, Myerstwn, Reistville. Myerstown is also known as: Lebanon County / Myerstown borough. Zip codes in the city: 17067. Some of the notable people born here have been: (rudolph k. hynicka). Myerstown (Pennsylvania Dutch: Moyerschteddel) is a borough located in Lebanon County, Pennsylvania, United States. It is part of the Lebanon, PA Metropolitan Statistical Area. As of the 2000 census, the borough had a total population of 3,171. It is home to the Evangelical Seminary, which is located on South College Street. It was disclosed on February 11th, 2016 that James D Youd passed away in Myerstown, Pennsylvania. Youd was 97 years old and was born in Bridgeport, CT. Send flowers to express your sorrow and honor James D's life. It was reported on April 24th, 2014 that John C Rev Boor perished in Myerstown, Pennsylvania. Boor was 88 years old. Send flowers to share your condolences and honor John C Rev's life. It was written by Sarasota Herald-Tribune on April 7th, 2014 that William A Sr Muth passed away in Venice, Florida. Muth was 89 years old and was born in Myerstown, PA. Send flowers to express your sorrow and honor William A Sr's life. It was reported by Williamsport Sun-Gazette on September 14th, 2013 that Beatrice M Frederickson (Noll) perished in Myerstown, Pennsylvania. Ms. Frederickson was 95 years old. Send flowers to share your condolences and honor Beatrice M's life. It was revealed by Lancaster Intelligencer Journal on December 17th, 2012 that Grace E Hibshman (Umberger) passed away in Myerstown, Pennsylvania. Ms. Hibshman was 93 years old. Send flowers to express your sympathy and honor Grace E's life. It was written by Lancaster Intelligencer Journal on December 10th, 2012 that Ruth Anna Baugher (Miller) perished in Myerstown, Pennsylvania. Ms. Baugher was 83 years old. Send flowers to express your sympathy and honor Ruth Anna's life. It was noted by Harrisburg Patriot News on June 16th, 2012 that Anna E Gibson (Umberger) passed on in Myerstown, Pennsylvania. Ms. Gibson was 84 years old and was born in Colebrook, PA. Send flowers to share your condolences and honor Anna E's life. It was written by Harrisburg Patriot News on May 30th, 2012 that Mary E Brown (Levengood) perished in Myerstown, Pennsylvania. Ms. Brown was 73 years old. Send flowers to express your sympathy and honor Mary E's life. It was written by Harrisburg Patriot News on May 27th, 2012 that Joyce L Lattanze (Long) perished in Myerstown, Pennsylvania. Ms. Lattanze was 84 years old. Send flowers to express your sorrow and honor Joyce L's life. It was written by Harrisburg Patriot News on April 12th, 2012 that Marc D Bechtold passed away in Myerstown, Pennsylvania. Bechtold was 37 years old. Send flowers to express your sorrow and honor Marc D's life. It is part of the Lebanon County, PA Metropolitan Statistical Area. 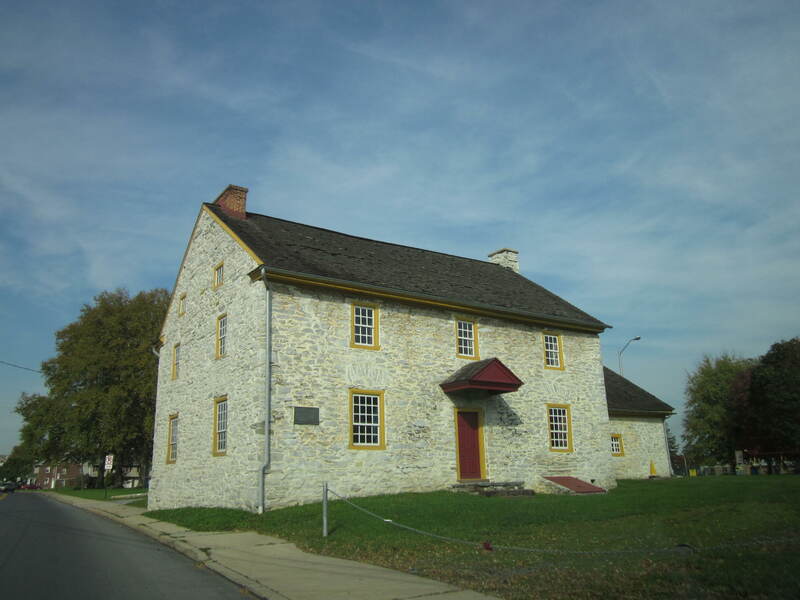 Myerstown is a borough located in Lebanon County, Pennsylvania. . After his death the citizens of Tulpehocken Town began to call it Meier's Town after him, which later evolved into its present spelling. As early as 1763 he began deeding out lots and planned to make a town which he called Tulpehocken Town, after the Tulpehocken Creek, which runs through the borough. Friends and relatives may call 10 - 11 a.m. Thursday in the funeral home. There will be no graveside services ... 440 East Lincoln Avenue, Myerstown, PA 17067. Listing all funeral homes in Myerstown, Pennsylvania so you can easily send flowers to any location (same day delivery) or find any funeral service. We work with local florists and flower shops to offer same day delivery. You will find budget sympathy flowers in Myerstown here. Our funeral flowers are cheap in price but not in value.